The bigger picture: This is another example of a populist government in central Europe trying to rewrite the history of World War II and distance themselves from any history of antisemitism or cooperation with the Nazis. Prime Minister Benjamin Netanyahu's government is accommodating those steps because it needs the support of the central European governments – mainly Hungary, Poland and the Czech Republic — inside the EU. Flashback: After Poland passed a controversial law in February making it illegal to attribute crimes committed during the Holocaust to Poland, Netanyahu ended the ensuing diplomatic crisis by cutting a deal with the Polish government and accepting its revisionist narrative. In the last few months, Orbán's government in Hungary has started working on a new Holocaust museum called "The House of Fates." Orbán appointed historian Maria Schmidt to lead the initiative. Schmidt, who is close to Orbán's party, is known for her revisionist work regarding the Holocaust in Hungary. She's at the forefront of a new historical narrative which underestimates the role of the Hungarian state and the Hungarian people in the murder of hundreds of thousands of Hungarian Jews during the Holocaust. An Israeli official tells me the Israeli foreign ministry objects to any attempt to divert from the historical facts. But the Israeli prime minister's office didn’t agree and decided to enter into negotiations with the Hungarians about the contents of the museum. Two of Orbán's advisers arrive in Israel and will meet on Thursday with Netanyahu's diplomatic adviser Reuven Azar. The Israeli official told me Netanyahu's office didn't invite any representative from the foreign ministry to take part in the talks, and there is real concern in the foreign ministry that Netanyahu will make the same compromises he made with the Polish Holocaust bill. The Jewish community in Hungary is also very concerned about Orbán's move. The president of the Hungarian Jewish community arrived in Israel for an emergency visit and met several politicians and officials. He didn't get a meeting with Netanyahu's aides. 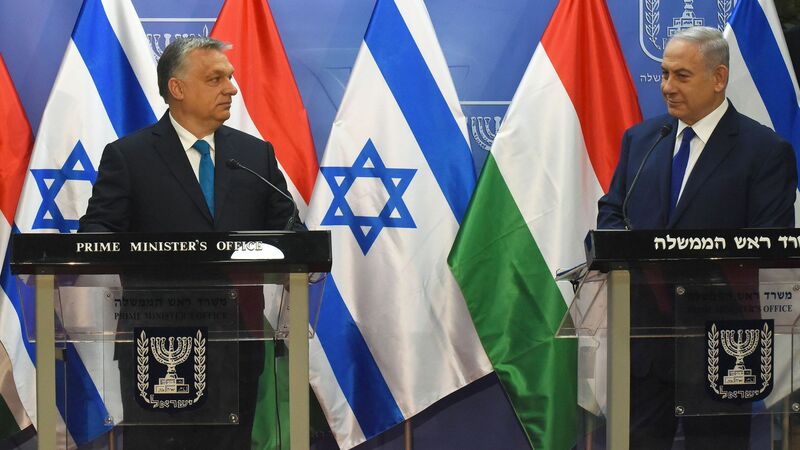 The Israeli prime minister's office told me: "The Hungarian government wants to reach consensus regarding the narrative of the 'House of Fates' as a precondition for its opening. Israel and other parties are waiting to hear the updated Hungarian position in order to reach the aspired consensus."